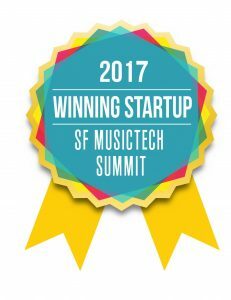 Congratulations 2017 Startup Competition Winners! 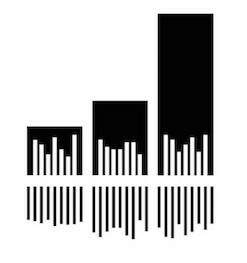 BuzzAngle Music is a New York-based music technology company that provides a unique service to revolutionize the way businesses research music consumption and related trends. BuzzAngle Music’s state-of-the-art big data platform analyzes the daily sales, streaming and airplay activity of albums, songs and artists in North America and beyond. BuzzAngle’s service provides unparalleled capability to music distributors, labels, publishers, artist managers, artists, tour managers & promoters, venues, brands & advertisers. Over 140-million people now use Spotify globally, with 30-million subscribing to Apple Music, whilst YouTube enjoys a weekly reach over 1-billion. 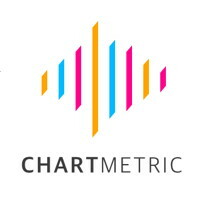 Whilst users are listening to music through these services, chartmetric is LISTENING TO THE DATA. We help customers interpret data from a vast number of sources: services, socials, and the web using Machine Learning and AI and provide unique insight and highlighting trends. Our current customers including BMG, Ingrooves, Concord Music Group have been enjoying our beautifully visualized, incredibly detailed and uniquely informative analysis on every aspect of today’s global music consumption. capture their ideas and express their vision to the world—anywhere, anytime. Our new Mikme Video App let’s you record a video with your smartphone and sync the audio wirelessly in close to realtime from the Mikme Microphone. Thus your smartphone video finally gets studio-quality sound without ever thinking about syncing audio to your video. Mimi built a medically-certified smartphone-based hearing test where users can test their hearing within 5-6min. Based on this individual hearing profile and with biomedical algorithms that mimic the way a healthy human ear processes sound, Mimi personalizes sound by adjusting any audio output to the users’ hearing ability. The result is an unparalleled sound experience with more nuances and clarity that also protects your hearing from futures losses. Our tech can be integrated in any software or hardware audio product, which is why we aim to build the standard for personalized sound: One hearing profile for all devices and services. The MOD Duo is a computer in a rugged stage-ready box that simply replaces most or all other equipment used by musicians, such as stompboxes and computers. It has an intuitive and user-friendly interface that allows unprecedented creative freedom, control capabilities, and signal processing. MOD users can connect the Duo to other effects and controllers they possess and even share their configurations.It has gathered a lively and experienced community of musicians, sound designers, media artists, developers, makers and educators and is now the most versatile audio processor for professionals and casual players at home, at the studio or on stage. share across their social networks instantly turning their friends into fans. anywhere in the world can awaken their inner musician. Partners and we won TechCrunch. Soundcharts is a full-stack solution (database, desktop, mobile apps & API) that brings together real-time and historical music consumption data, (social, charts, playlist, airplay monitoring) to improve project management, reporting and artist scouting. Uberchord is leading the inevitable transformation of music education in the 21st century with a learning platform that uses state-of-the-art audio recognition and real-time responsive AI learning software to take learners along a personalized journey towards music literacy. around popular songs make Uberchord the most advanced learning system for guitar today. Vampr is an app that helps you discover, connect and collaborate with fellow musicians, the music industry and music lovers alike. Find a guitarist, singer or producer for your latest project, audition for that punk band you always wanted to join or simply discover and chat with friends around your favorite music. Create and view instant auditions with Soundcloud and YouTube integration so your look and sound are heard. 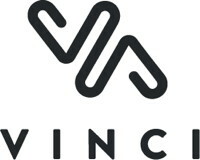 Founded by two MIT alumni in Sep. 2014, Vinci is the first AI-enhanced, wireless and hands-free headphone that is controlled by your voice and powered by cloud technology, with no connection needed to your mobile phone. This standalone music player companion gives users a seamless listening and control experience with integrated music services, large local storage capacity, high quality audio specs, 3D recording, activity sensors, an advanced recommendation algorithm, and leading AI technology. Congratulations to the Winners of the 2016 Startup Competition! 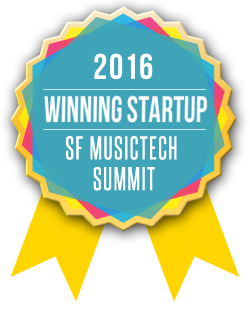 We had ten winners of the 2016 SF MusicTech Startup Competition. Each winner showcased their product on stage at the Summit, and one startup was selected to win a complimentary legal package of services from WSGR. 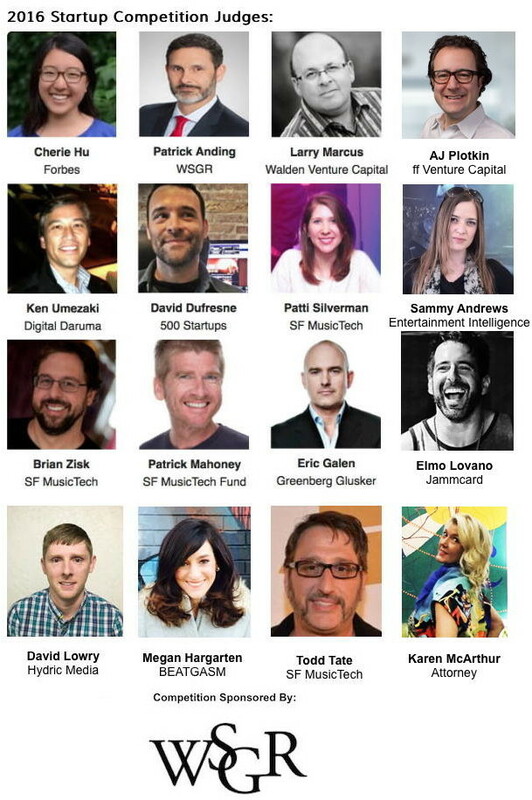 Thanks so much to our 2016 Startup Competition Judges! 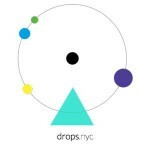 Audio Drops is a location-aware social playlist that enables artists, fans, content marketers + brands to personalize space and discover music anywhere on the globe. Our users participate in an Augmented Audio layer by dropping and collecting songs (or other audio) using patent pending functionality. Our digital compass, also patent pending, pings left and right to help users find audio from friends and influencers. We think [Place + Content x Social] will enrich one’s experience of their neighborhoods, cities and public spaces in delightful new ways. Disco DISCO is a B-B workflow tool for creatives, starting with the music industry. Built to solve problems that most creatives, music studios, and media companies face when they rely on storage apps to collaborate, which were never meant to be workflow tools. What Slack did for email, DISCO will do for iTunes/Box tools, eliminating upload/download wait times and repetitive work. Dot Blockchain | http://dotblockchainmusic.com Dot Blockchain Music is developing a new technology architecture and applications to modernize digital music files, the digital music supply chain, rights ownership information, and payment processing. We are committed to developing an architecture that will support a minimum viable dataset for musical compositions and sound recordings, and which is populated, maintained and shared via a decentralized public database, leveraging blockchain technology. We are also committed to promoting the broad adoption of the dotBC platform by focusing on open source coding standards. 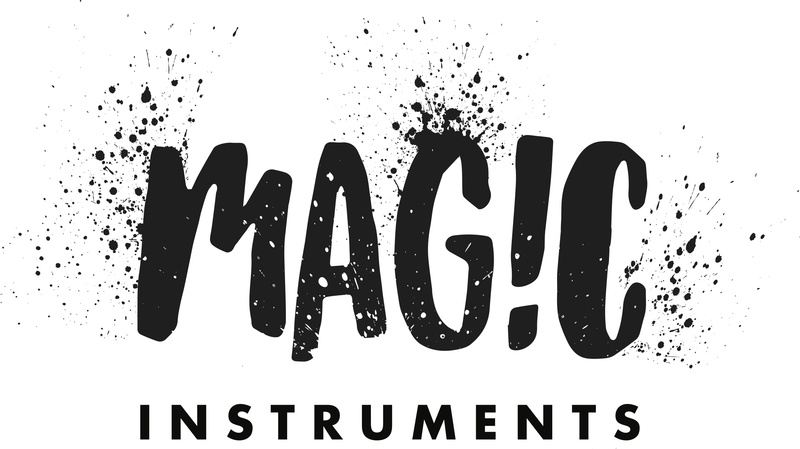 Magic Instruments Do you wish you could play a musical instrument? Unless you learned when you were a kid, chances are, you never will. It’s so hard, and takes years of practice and lessons. In fact, 90% of people learning guitar quit in the first year. Magic Instruments has invented a new kind of guitar which allows ANYONE to play instantly. Our companion mobile app has a vast catalog of songs and easy playing instructions, so anyone can start strumming one of their favorite songs in minutes. Start making music! 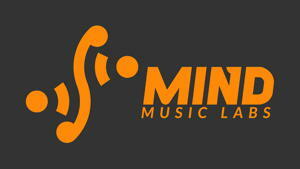 MIND Music Labs MIND Music Labs is creating a connected music ecosystem of smart musical instruments. The first of such instruments is SENSUS, the World’s first SmartGuitar. SENSUS is at the same time a guitar, a wireless Digital Audio Workstation and an Internet of Things connected device. It is a guitar, but its technology evolves what you can do: add infinite modulations to your music and boost your expressivity thanks to its innovative sensors, instantly record and share your performances online in HD or take advantage of its connectivity to add new levels of interaction to live acts.All with no accessories nor cables. National Performing Rights Exchange NPREX is a disruptive patent-pending technology for the $3B performing rights industry. This industry operates, as it has for the last 100 years, with an expensive institutional licensing-framework requiring intense federal oversight. 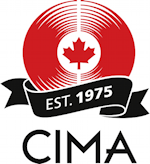 The industry has no systematic method for music publishers and labels to sell music licenses directly to those who need them – broadcasters, streaming services, and others. The solution is the NPREX exchange platform and its smart-pricing algorithm, which standardizes the licensing process, creating efficiency, accuracy, and transparency, at much lower costs than today’s system. 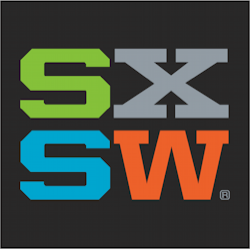 PaceMaker Pacemaker matches music consumers with curators through streamed Digital Mixtapes. A Mixtape consists of carefully selected tracks representing the curator’s personal music taste. 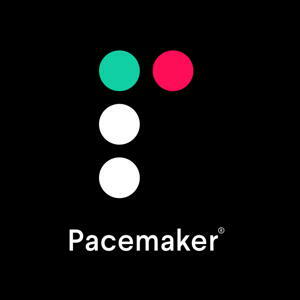 Pacemaker creates a trustworthy bridge between these two groups by enabling easy Mixtape creation thanks to Pacemaker’s AI DJ tech, helping users find tracks that match and create perfect transitions between them. This encourages curators to showcase great music, while solving the never-ending problem of all music consumers – finding new, inspiring music to listen to. QRATES QRATES is a crowdfunding platform specialized in the entire process from creation to fulfillment of vinyl records for artists and brands. On QRATES, users can upload their music, design their vinyl record and publish a crowdfunding or pre-order projects in a matter of minutes. By democratizing vinyl production, we hope to enrich more music fans with the unique experience of vinyl records and also help sustain the livelihood of artists by providing an alternate revenue stream. Sunhouse Instrumentalists are being pushed out of modern music making because they lack the technology needed to express themselves electronically. 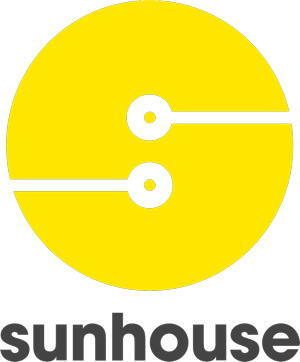 Sunhouse reinvigorates acoustic artforms by translating all the human nuances of a live performance to digital sounds. Unlike trigger systems which turn your drum into static beats, Sensory Percussion understands where and how you hit the drum. It lets you map different parts of the drum to any sound desired (from samples and synthesizers to digital audio effects). With Sensory Percussion you can control electronic sounds in real time with your drumsticks, rather than twiddle knobs and push buttons. The One Music Group BEST OF SMART HOME – 2016 CES INNOVATION AWARD BEST TEACHING TOOL FOR BEGINNER STUDENTS – 2016 NAMM (National Association of Music Merchants). The ONE Smart Piano is the world’s only Apple MFi piano product that teaches you to play with interactive light-up keys. We have become the best selling piano on the web in China, ever since released in 2014. To learn piano with TheONE, you connect your iOS/Android phone or tablet to the piano as the piano’s screen so you can browse through hundreds of video lessons, thousands of sheet music, and piano games. Music makers face tough questions. Which song on the album is the hit? What opportunities should we pitch? Does anyone even want to listen to this? Audiokite answers complex questions by surveying the people who matter most: actual music consumers. The platform streams your song for a targeted sample of listeners and delivers eye-opening feedback in a report. This data is actively informing composition, production, and promotion decisions for garage bands and major music companies alike. Chordify is a music e-learning platform that automatically transforms your favorite music – from YouTube, Soundcloud, Deezer or your personal music library – into chords. The calculated chords are synchronised with the music in a simple and intuitive player so you can practise, produce and play to your hearts’ content. JoyTunes is changing the face of music education by transforming the way people learn and practice musical instruments. Combining proven education methods, sound recognition and the latest gaming technologies, our acoustic engine auto-magically detects your piano or keyboard giving you instant feedback as you play, no wires needed. 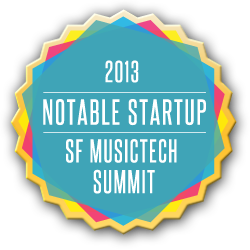 JoyTunes enables anyone to succeed in learning to play music. Nymbus is the HubSpot of live concerts; a platform for creative, digital interaction and inbound marketing with every fan during a show. We engage fans through concert-specific content and audience-wide light shows on phones paired with LED wearables. We then track invaluable data on fan engagement during gigs and convert interactivity into in-app sales of merchandise and long-term engagement with fans that will generate and tens of millions in additional revenue across the industry. We bring retail customers by releasing exclusive music through beacons. We are the first beacon network that delivers new customers by letting artists digitally “lock” exclusive content in retailers, bars, & venues. SKIO Music is a licensing and collaboration platform for the music industry. On SKIO, a curated community of artists and labels can engage in direct licensing deals, secure payments, and access tools to collaborate strategically, all on the platform. SKIO is taking the music business digital – music production, distribution, and consumption are already digital, it’s time that the business side of the industry adapt as well. TapTape lets fans invest in the record deals of their favorite artists. By involving early supporters as part of the team, we provide a valuable financial resource and marketing tool for musicians and labels, while giving fans a unique connection to the artists they care about. ToneTree is redefining what a musical instrument can be. ToneTree’s flagship product, Birch, can transform nearly any surface into an expressive interface. Play piano on a park bench or drums on a countertop; the world is your instrument! Uberchord is a subscription-based mobile learning platform for guitar and other instruments. Our (patent-pending) audio recognition technology enables us to provide a new learning experience: it listens through the built-in microphone of the iPhone and adapts to the user’s progress. The app is able to give real-time feedback just like a personal guitar teacher. We plan to teach musical concepts in a Duolingo style as well as popular songs with a fun and interactive gameplay. Visualartspeakers.com develops a first and foremost single driver planar loudspeaker which accurately reproduces a wide frequency range. It transforms people listening experience in music and entertainment. The first product Ogeeg speaker is packaged into a solid wooden frame with custom art/picture printed on silk canvas for home or commercial space. Soundslice makes interactive, web-based sheet music and guitar tablature. Our “responsive” music notation wraps to fit your device, and it’s got everything a musician needs to learn the tune — syncing with multiple source recordings/videos, slowdown without changing pitch, simple looping, transposition and more. It’s all done on the web, with no need to install anything. The goal is to be the best way to learn any tune. We license this technology to companies that want to offer high-quality interactive music lessons, and we sell interactive transcriptions on behalf of indie artists, giving artists another source of income. 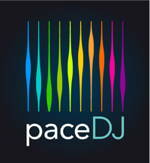 Pace DJ is musically optimized performance. Our patented application serves millions of Americans, helping them run in sync with their music and achieve their fitness goals. This is important to individuals, but also extremely important to insurers and employers since it relates to their costs. We have been recommended by the New York Times, Runner’s World, Health Magazine, and more, and are scaling up in partnership with leading health and fitness brands. Gigstarter is a new way to promote and sell tickets to shows. By eliminating the middleman, we connect fans and musicians like never before. Traditionally, the venue is booked, the show is announced and then tickets are sold—Leaving fans with no say, and musicians with the pressure to fill the show.With Gigstarter this process is flipped–Sell the tickets then book the show. 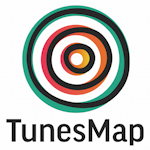 We help musicians target their fans, sell tickets and play the perfect venues. On top of that Gigstarter provides musicians with valuable fan data, highlight who and where their most passionate fans are. Barcelona based startup Patchworks develops CONDUCTR, an app that controls music production software, through a multi-touch interface, on the iPad. It focuses on changing the live-performing experience, both for the musicians and the audience, as it gives a more engaging vibe because the artist can use it without watching the iPad. As a MVP, the CONDUCTR app works as an Ableton Live controller for iPad. But since its conception its development was based on a strong foundation based on modularity and scalability. CONDUCTR is a free app with an in-app store. The user gets access to the basic features of the controller upon downloading. However, the user can purchases for additional modules as per need or expertise. CONDUCTR it’s also a whole new approach to software control devices for touch surfaces, based on functionality, adaptability and intuitivity. CONDUCTR is highly customizable because it is designed to cover each artist needs. It is not just another controller: it is a reflection of its owner’s creativity. And just like any artist’s creativity, CONDUCTR will evolve within time, growing with new preset modules that you will be able to add to your own configuration in order to make it even more YOU. MADE BY MUSICIANS FOR MUSICIANS. Psy(x) Audio was formed to address the digital audio market based on four core areas of proprietary innovation: Pyschoacoustics, Pre-Processing, Post Processing and Surround Sound. We develop the most advanced and reliable psychoacoustic technologies in the world today, used in satellite radio broadcast, radio, television, digital cinema, music, gaming and consumer electronics. Psy(x) Audio delivers technologies, products and services at each critical stage of the ecosystem: Creation, Distribution, and Playback. We work closely with the most influential Audio Scientists, Artists, Music Producers, and Engineers in the world to ensure that our technologies deliver the absolute highest quality of experience available. A 3 Dimensional Audio platform that renders up to 256 channels in a hemispherical array, using our own proprietary methods of extracting and imaging height information. S(K)Y can uprender from a 2-channel source and is capable of being mixed and edited using a joystick controller. Most importantly, we are not reliant on metadata and is immune to the data corruption and loss of that information along the ecosystem, so we can stream, re-encode, record, etc and still deliver a 3D experience. Additionally, S(K)Y’s image mapping editor enables the system to image perfectly regardless of aerial speaker placement, offering more flexibility than any object-based system on the market. Psyx is the world’s most advanced music player for iOS, powered by over 170 processes perfectly crafted to deliver an unparalleled listening experience in any environment. Welcome to portable luxury audio. Dynamics, Image Width, Artifact Management, and Articulation. The first versions of our pre-processing technology were deployed at the largest satellite radio broadcaster in the world. Over 450 million hours of content processed and running over 15 years. Psyx pre-conditioning greatly improves the listening experience to the consumer, AND reduces bandwidth consumption by 300% percent with no required changes to your exisiting encoder or infrastructure. Conceived by Silent Storm, America’s leading silent disco equipment provider and headphone event production company, Lysn in™ is the digital manifestation of our vision to enable anyone to enjoy a shared listening experience without barriers of amplified sound restrictions or the need for large sound systems. 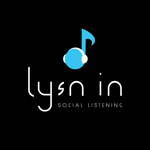 Lysn in is the world’s first app enabling anybody to connect any external audio source to their smartphone and broadcast the audio to friends. Easily connect your DJ gear to your smartphone through the lightning / 30 pin port or headphone jack and instantly stream music over a low-latency wireless network. Seamlessly add tracks to your playlist from your music library, SoundCloud or Spotify. Join a shared Wi-Fi network or synch over a personal hotspot or cellular network and Lysn in to a local DJ’s broadcast for a perfectly synchronized, social listening experience. The artist and track title being broadcasted to your phone will be displayed on your screen. You and everyone else who Lysns in will hear the same music at the same exact time. 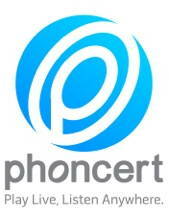 Phoncert puts the real time live concert audio in the earbuds of fans that can’t make the show allowing artists and venues to expand their reach beyond the physical location they are playing that night. Phoncert also archives the shows so artists can allow fans to relive the experience whenever and wherever…car, gym, home, walking down the street or the multitude of other places where one can listen to music from their mobile device. This aggregated cross genre archive provides an additional revenue stream via a premium upgrade for artists and venues to continue to monetize a live event well past the actual performance. Light4sound is reshaping the sound of the guitar in a way that hasn’t happened since the 1930s. Our first product, the Opik, is a drop-in replacement for the traditional magnetic pickup. The Opik uses optical technology to deliver a broader and deeper frequency response, resulting in a richer, truer depiction of the guitar’s tone. With a variety of ways to program, customize and modulate the tone right as it comes off the strings, the optical guitar pickup will allow for a leaner configuration with more tonal range. The cost will be on par with existing high quality pickups and even eliminates the need to use metal strings. The Opik has evolved over several years of development and testing, and takes advantage of a wide range of optical and physical properties to derive an impressive signal from off-the-shelf sensors. 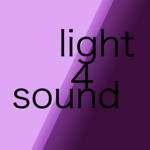 Light4Sound has four patents on the Optik technology. The founders, Tor Lundgren and Lee Haddad, bring together experience in music, hardware design, optics, intellectual property, and startups and can also whip up a very impressive Sazerac cocktail, when necessary. Jamendo, the world’s largest free music website (with over 450 000 tracks from 150 countries and 200 million downloads), is the link between artists who want to share their music and audiences around the world, both private and professional. 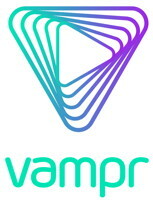 Jamendo grants free music downloads for web users, while at the same time providing revenue opportunities for artists through our Licensing platform, which sells licenses for music synchronization and background music. Axwave is the leading platform for automatic content recognition and committed to creating world-transforming sound innovation. Its exclusive technology brings people closer to the music they love. Axwave developed an automatic recognition technology that lets mobile users identify millions of songs without having to press one button. Its mobile app, GSOUND, lets users discover songs they listen to while in a car, at a bar, at the movies or at a club. The automatic discovery allows users to later review what they’ve listened to and interact with all tagged songs. In addition, besides recognizing music, Axwave is able to identify movies and live TV as well. It offers this innovative technology as an SDK to other app developers. Internet has opened new doors for music and fans. Every day, there is always more music out there and music fans are left with an increasing proliferation of services and data. As music lovers, we are literally swimming in music and, at the same time, drowning in music services. This is where Blitzr comes in. Blitzr is a free, artist friendly and universal music platform that allows music addicts to take advantage of the web in a whole other way. At Blitzr we rely on semantic technologies to unify and to bring order to music. Blitzr combines the different flavors of all the existing dispatched music services, data and media into a new single and user-friendly interface. Backed by a semantic search engine and a universal metaplayer, Blitzr offers a 360 degrees perspective on music (infinite listening, discographies, biographies, news, events and all available contextual data). Blitzr features also the world’s largest music databases, new discovery & recommendation tools and the first price comparison service dedicated to music (recordings, live tickets, merchandising…). Fantrotter is a ticket and travel search engine that enables fans to view the schedules of their favorite bands, festivals, sports teams, performers etc (whatever or whoever they are a fan of), and quickly find the best deals on tickets and travel arrangements to get them to the event and back. This one-stop-shopping site coordinates current ticket prices for each event with flight, hotel and rental car options, calculating an estimated grand total for the entire experience. Fantrotter makes it fast and easy to compare prices and make purchases from popular ticket and travel providers for practically any ticketed event in the world. With the “Fantrotter Travel Revenue Share Program”, bands, festivals and teams can make money from every airline ticket, hotel reservation and car rental their fans shop for. Partners simply install the Fantrotter website widget and Facebook app to start earning money from travel. The program is risk-free: No cost to join, no manual work to be done (such as with putting together travel packages), and at any time partners can simply remove the tools to stop participation. The program kicked off in January 2014 and partnerships are now launching. FindMySong is an online music collaborative platform for musicians around the world to network, create music projects and manage their copyright all in one place. We aim to become the go-to platform for musicians to create better music and engage their fans efficiently. 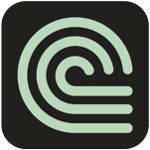 Fingertip Maestro is a new musical instrument for iOS, which allows anyone to instantly create beautiful music. We took a piano keyboard re-arranged the notes into a color-coded grid, which is easy or intuitive to play. Just tap slide & play! The Android version will be released in summer, and based on current numbers we expect to have 1 million downloads by the end of 2014. Gigwell is the first cloud based DJ booking platform that integrates end-to-end workflow automation for booking and management agencies. We provide a simple solution to manage all artist bookings, track payments, negotiate contracts, talent availabilities, and track revenue goals. So put an end to searching for gig contracts, signatures, and making those painful last minute trips to the bank for wire transfers. Gigwell lets you be more efficient and work smarter, not harder. Gideen helps 900 million music makers worldwide to monetize their songs and recorded music. By opening up a secondary music market for 650 million contract-free songs with no or just little income and no place to go, Gideen gains co-ownership of these assets and is matching this music with 100 million daily monetization opportunities. Gideen innovates and introduces crowd-sourced marketing and exploitation, highly motivated by allowing everyone to buy into future music revenue streams for as little as $29 (gift size). Gideen also streamlines complex licensing rules down to 4 “all-you-can-eat” price models and shortens the “time-to-deal” from weeks to under 2 minutes. 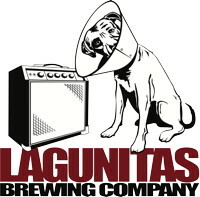 That opens the door for the urgently needed mass-licensing market. Pro Studio Quality Mastering, Instantly. High-quality mastering has always been an expensive black art that was affordable to few and technically achievable by fewer. LANDR.com’s online mastering tool is here to make high-quality mastering accessible to everyone. Using big data, machine learning and intelligent systems, we’ve been able to create instant mastering that rivals top studios at a fraction of the time and cost. Our system recognizes the genre of your music, creates a sonic fingerprint of your mix and delivers a unique master that’s specific to your taste. Plus, all of this happens in less time than it takes to listen to an average song. Meludia is the 1st fast-track program to develop music abilities through sensations. It is an online game, which makes you hear and integrate music notions step by step. No theory, no instrument. Regardless of age or level. For musicians in the making, it is the most simple, efficient and pleasant way to start music. Meludia helps you play an instrument “by ear”. It improves your pleasure out of listening and your motivation to learn, practice and progress. RighTune creates emotional connection that drives commerce by playing personalized background music on websites and applications. We have over 700 customers actively use our service with millions of visitors that hear our music and we generate revenues. On average we increase in 15% the websites’ business performance. Currently, only the sight sense participate in the online world. Our big vision is to utilize the hearing sense into the overall online experience. Our music creates a subtle, ubiquitous ambiance that adds a deep emotional dimension to a site’s content and directly impacts users’ behavior and increases staying time, brand loyalty and revenue. In fact, righTune takes the widely-accepted concept of in-store music used and leverages it for the online world. While playing music, we track users’ behavior and engagement level on the website. We use big data, behavioral, machine learning algorithm that continually updates the music for new website’s users in order to maximize business results. Vow smart headphones is the world’s first true smart headphones. Its 3G+WiFi modules allow users to listen to music online and offline whenever and wherever. Not only does it offer high quality powerful sounds, with the embedded messaging apps, you can also chat with other fans and friends. Vow smart headphones used a very unique detachable touch-screen design, so our users would have a better user experience. Music begins with playing an instrument or singing. But musicians crave playing with others and experiencing a richer world of sound that is engaging and fun. The problem is, it’s logistically difficult and costly to play with others. Hiring just one musician can cost over $50 an hour. So, people end up practicing alone most of the time, even at the professional level. A necessary evil, you say? Well, unfortunately 90% of kids quit studying music by age 15 because they hate practicing alone. We have created Cadenza, an app that empowers people to make music with the full, lifelike sound they need, whether it’s an orchestra, band, or other group. Unlike any other solution, Cadenza listens to the musician, anticipates their every move, and synchronizes a real orchestra or band recording to fit their expression in real time. Cadenza transforms solitary practice into a fun fantasy. Just press play and you’re on stage with an orchestra that seems to read your mind! 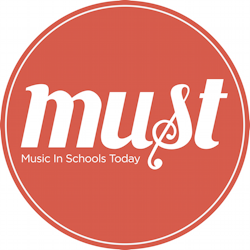 Tutti Dynamics has developed an interactive video platform that enables users to play music with master musicians and share their performances with friends and teachers. Tutti Music Player™ is available on iPhone, iPad, Mac and PC. Early adopters include jazz legend Wynton Marsalis, Jazz at Lincoln Center, Berklee College of Music, Tulane University and 300 high schools. 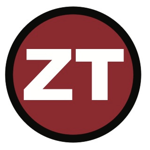 Tutti Music Player™ combines multiple user-controlled video and audio streams of masters’ performances with an educational toolbox that allows users to dissect the performance and analyze the master’s technique, access sheet music, and loop sections of the song. The platform also creates a collaborative and social environment so that users can create and share with others. Musicinfo is the search engine of music. 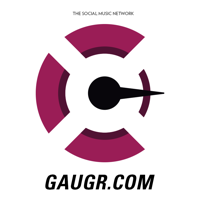 We aggregate information about bands, artists and music creators from all around the web, and present it in a user friendly manner on one page. Our database is already one of the largest on the web, with over 40 million tracks by over 3.5 million artists. Our goal is to provide the most extensive database of lyrics, reviews, videos, discographies and much more to the fans, for free. Upbeet Games creates apps for music education, music creation and jamming. We turn music listeners into music players! Cookie Beats was designed by music technology teachers at Beatshop Labs, a school for music technology sponsored by Propellerhead Software (makers of the Figure app and Reason) . It takes inspiration from music theory software, Music Ace and popular music games. The first product from Upbeet is an educational music game for kids called Cookie Beats. Unlike other music games where you’re merely tapping along to a song, Cookie Beats gives you full control of a drum machine sampler and guides you from basic quarter notes to full beats! Apply the skills you learn from Cookie Beats to reading music notation, playing a real drum machine and composing music on a sequencer/digital audio workstation. Tunespeak is a loyalty platform for bands. It empowers bands to create contests online, identify and reward their most loyal and influential fans. Tunespeak tracks meaningful fan activity through popular social media, streaming and fan sites. 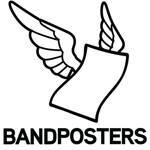 Bands dream up prizes and fans earn points when they listen to music, watch videos, view photos and share it all with friends on Facebook and Twitter. 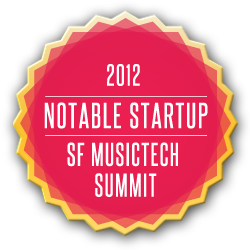 SyzzleSoft Inc. is a Sausalito, CA startup developing Syzzle™, the first global rating system that takes the guesswork out of live music. Syzzle combines deep data analytics with the wisdom of the crowd to create a dynamic rating index that tracks over 100,000 performing artists worldwide. 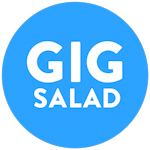 It’s like Yelp for live music, only cooler and a lot more engaging. 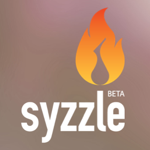 In the same way Yelp disrupted the restaurant industry, Syzzle has the potential to disrupt the music business, opening the door to exciting new fan engagement and monetization opportunities. Talent deserves more than a like. Digital reward infrastructure for artists on the web. Moozar’s mission is to create a new source of revenues for artists who communicate their work on the web and social networks . . . through a Reward Link service that allows users and fans to easily give monetary contribution right where they enjoy the music (video/article/graphic/photo/etc). The Reward Links are generated for free, do spread with the works when shared, and are aggregating all the stats in a single dashboard. We provide the Internet’s micro sponsoring that support creation! We love guitar. But we’re all too familiar with the alt-tabbing, pausing, dragging the seek bar, and frustration involved in learning a new song. With Tabless, guitar tabs and songs are synchronized, so you can play your favorite songs hassle-free. The best part? Tabless works with any text tab you can find on the web. Loudr is a direct-to-fan, pay-what-you-want digital music platform with built-in cover song licensing, content bundling and real-time sales. How to engage the person in their care is a big problem for dementia caregivers. As a social worker working in the field, I have found familiar music to be one of the most powerful ways to positively engage a person with Alzheimer’s or other dementia. Familiar music can help with apathy, anxiety, depression, agitation. It can also cause the person to speak again, and to access memories. This is supported by multiple research studies and other lower tech initiatives such as the Music and Memory program. With that knowledge, I have developed Carenga, an iPad app for caregivers that maximizes the engagement possibilities of familiar music. The app makes it easy for caregivers to search for music and create playlists, regardless of the other person’s cognitive abilities. It also provide simple tools to support interactions around the music: easy to read sing along, photos to enhance memories for each song, music trivia, and video to record, play back and share special moments with the music. The current version of the app relies on Spotify API for music streaming and lyrics. tappr.tv is the first Creative-Commons digital dance platform. With tappr.tv on your iOS device, you can pick a song from your music library and then pick from over 100 “wands”. Then while the song is playing, you can tap, swipe, and swirl your fingers to “dance” along to the song, producing highly dynamic kinetic visuals on the screen. You can record your dance using multiple layers, and publish it to a social network where others with that song can watch and dance along. Fliqq is a soon to be launching mobile solution that allows you to form location-based groups for sharing content with people you meet in the real world, making it easier for people to connect with each other. For instance, lets say you go to a tech happy hour and you don’t know too many people. Suppose you want to share the picture you just took with everyone without having to ask for numbers or emails. With Fliqq, you can snap the picture and with just one swipe, send it to everyone’s phone synchronously. Furthermore, only a single person needs the app for the entire group to experience the “magic”. Fliqq also has a social platform that makes real-time shared experiences around media possible for artists and brands. 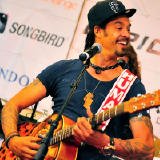 Wimbo Music gives people the power to control the individual instruments and vocals that make up there favorite songs. Wimbo Music has specially formatted songs broken down into individual stems that are played through Wimbo’s user friendly mixer. Thinkplay thinkplay is building the first software that allows musicians to build, perform with, and sell fully customizable ePedals. thinkplay ePedals are unlike any type of ‘effects pedal’ musicians have used before. Traditional pedals house sounds such as distortion, echo, and flanger. The virtual ePedal houses a mapping of audio samples, video clips, and effects which can be triggered in real time, and shared with musicians of various instruments. EDM on a guitar, hip-hop on a banjo, and techno philharmonics are all now possible. Crowd Album which solves a pretty simple problem: Lots of photos are taken at concerts and shows, but the problem is the artist will probably never see them because they’re hard to find. Crowd Album automagically finds these photos and pulls them together into one gallery that can be easily shared by the artist/event promoter/organizer. What’s cool about the albums is that they’re made up of your TRUE VIRAL MARKETERS – people who spent time/money to go to your show, they created content about you, then spread it to their networks. These are the people you really really want to connect with – and Crowd Album helps you find and connect with them and their content. In the past couple of years Electronic Dance Music, or EDM, has risen out of the underground to become the top most favored genre of the modern generation. EDM has become the new Rock and Roll, but with an even lower barrier for entry for fans to get involved. No longer do you need a guitar, drumset, or amps. Anyone with a computer and an internet connection can participate, and they are, at an increasing rate. The problem lies in the derivative nature of the artform. EDM songs are made by remixing or sampling pieces of existing songs. Since nearly all songs are copyrighted, most EDM songs are infringing copyright by sampling them. Paying the licensing fees to publishers and record labels for a single song easily costs tens of thousands of dollars, which is prohibitively expensive for all but the most successful musicians. Soundkeep plans to solve this problem by creating an Open Source Music community. 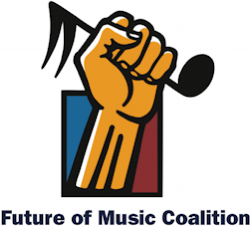 By creating a place where a musician can release music in stem/sample form through Creative Commons to the greater community of musicians, we can build a large body of license free content. This content can then be freely sampled and remixed by the community without the fear and liability of a lawsuit with a major label. We can’t wait to break the licensing constraints on current artists and see the artform grow. Dubbler is more than an app. It’s an entirely new and highly addictive social platform for the voice. It lets users instantly record and share sounds of any kind with the growing Dubbler community, and their friends on Facebook and Twitter.We released Dubbler 4 months ago and it quickly caught on. There’s now a community of nearly 500,000 Dubblers – and its growing every minute. Singers, rappers, radio personalities, comedians, birthday-wishers, thinkers, observers, and commentators from around the world. Record up to 60 seconds of audio, then choose to add a voice filter (i.e. a cat, bird, cow, robot, etc…). Add a photo (or don’t) and then and then share it to Facebook, Twitter, and the Dubbler community. Where can I find Dubbler? Dubbler is available on iTunes and was recently featured as a Staff Pick in the Google Play Store. MoodSnap is a mood and activity-based music discovery app that seamlessly connects you to music that matches your taste in any situation. The experience is “image-based music discovery,” allowing users to look at emotive photographs and tap whatever relates to them. A dynamic, crowd-curated playlist will instantly play songs associated with the mood of that photo. By displaying a spectrum of life’s emotions not in words, but in photographs, it allows users to feel what they want to hear, rather than search through exhaustive text-based categories. Moodsnap is for people who want a simple, intuitive, and more human approach to finding music that is relevant, personal, and fun. Infinitunes is the biggest repository of music in the world, comprising 1 billion songs of all essential genres, fully composed and synthesized by Melomics’ supercomputers. All this music is available in audible (MP3/WAV), editable (MIDI/XML) and readable (PDF) formats. It can be browsed at melomics.com, and bought as a commodity ($0.99/KB of MIDI file), and the buyers gets all rights and authorship over the song. 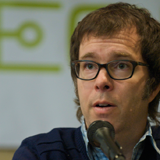 Melomics@life adapts music to the activity and needs of the user, with zero-friction. It provides worldwide music services to the general public, to the hospitality industry (like music therapy for healthcare centers, ambient music for hotels and restaurants, or productivity music for big companies). The playlist adapts to your speed while driving, your movements on the bed, or your activity at work. It goes beyond services like Pandora or Songza, it’s the future: empathetic music. Plug.dj is an international community where people can enjoy music and videos together in a real-time socially interactive environment. Our users choose from a wide array of expressive characters, join any number of virtual rooms where they can discover and share music and videos, and communicate with international cohorts using our real-time chat translation. 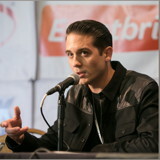 Whether, it’s music, comedy, movies, or live events, we’re a platform for group real-time digital content consumption. Audience.fm uses data to measure fan engagement and create meaningful interactions between bands and their core fans by providing analytics and tools that help artists understand who their fans are and connect with them. Bundio enables creators to set up their own direct to fan subscriptions. It’s built on Dropbox for drag and drop simplicity and allows artists to monetize anything – songs, videos, lyrics, mashups, etc, while continually engaging their fan base. Every film and TV show utilizes music — from Hollywood blockbuster to low-budget reality TV series and everything in between. Literally billions of dollars are paid in licensing fees and royalties for this music. Yet the current tools and methods for managing this process are antiquated, disjointed, labor-intensive and manual. This creates extra and redundant work for the many individuals and business entities involved, and results in lost and delayed revenue for composers, music publishers, and record labels. It can even lead to costly litigation due to inefficiencies and errors in tracking music rights.Qwire solves this problem with its collaborative, cloud-based process which streamlines the selection, creation and licensing of all music in film and TV, thereby improving the timeliness and ensuring the accuracy of music royalties and license fees. 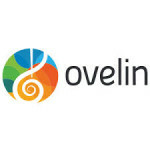 Qwire (patent pending) is in use by leading composers, music editors, and video editors on major television shows and films, including Parenthood and White Collar. Local Music Vibe is a live music marketplace for all venues and musicians everywhere. Our technology helps to grow local music scenes worldwide with tools for promoters, rewards for fans, and real-world interactions for sponsors. We have grown to over 5,000 artists, venues and promoters around the world contributing thousands of shows daily. 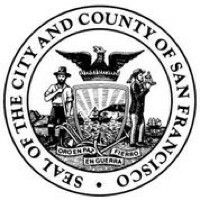 Our pageviews have grown over 200% in the last 90 days and we are generating recurring revenue in our test market of Marin County. We have recently integrated event data from Facebook and artist data from BandPage and we are introducing an exciting competition to recognize the most active music fans with real rewards offered by local businesses. Liquid Notes is the world’s first intelligent music production tool: with the software having the knowledge of a professional composer for harmony, chords and scales, even an amateur can now make music that brings people to their knees. A professional can make complex changes to an arrangement with a few fingertips in real-time .. that hasn’t been possible before, and it enables finding new ideas rather than being stuck in a sequencer changing your arrangement one by one and in the meanwhile having forgotten the idea. And, you can take your kid and have him / her play live to a piece on, say a MIDI-keyboard, which will sound perfectly flawless. Our software will simply correct the input in real-time and align it with the melody and harmony of the piece.Note: Liquid Notes is not a self-composing machine. You still need to have a basic understanding in music theory, otherwise it’s “garbage in, garbage out”, and it is you who puts together the emotional message of the music piece, not our software. 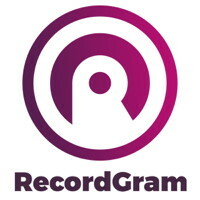 CratePlayer is a place to discover, collect, play and share your favorite online audio and video content. You can organize media from multiple online sources into curated collections we call “Crates,” like a crate of records. With CratePlayer you can gather your favorite songs and videos, play them continuously as playlists and share your Crates with your friends and the world. “Talk about your music!” CueNotes is bringing back liner notes, but we’re making them social and crowdsourced. Listen to your music wherever you are, and see what other people are saying about songs, artists, and albums down to the specific moment in a song. Know where the best guitar solo in the world is? CueNote it at 1:34 into the song and share it with your friends. Maybe you want to share a fact about your favorite artist or a song they wrote, “This song is about an all night party the band attended in Cabo.” Learn about the music as you listen – hear from the artists as well, why they wrote the music, what the lyrics mean to them, who is playing bass, why your best friend loves this song – anything at all about the song and see it as you listen to it, popping up on your screen in bite-size chunks of info. Learn ten things about the new Foster the People song while in line at the bank. Read Usher’s interpretation of his first single and why he wrote it. A great, fun app for music discovery and lovers of music knowledge, for fans to share their love of music, and a whole new way for artists to interact with their fans in a more meaningful, deep fashion than current social media provides. TRACT is a mobile and web social platform that helps users find nightlife and electronic dance music (EDM) events, purchase tickets, buy merchandise, get VIP access, make reservations, get access to guest lists, view photos from past events, and more. TRACT also provides a full venue management system with robust analytics enabling venue owners to get customer insights real-time and better monetize their users. Tract unites the DJ, the audience and the venue on a single platform, eliminating the biggest pain points and meeting the needs of all. Nearly everything about how people consume media has changed thanks to technology. Now people can sift through hundreds of images per minute on Instagram, browse the lengthly Techcrunch headlines without interrupting the scroll, and condense their messages to whatever character limit is trending this year. But even in the face of this contraction, music cannot be squeezed. A song still must be listened to. That’s the fundamental reason why we created Whyd, a social music bookmarking tool to keep, play, and share all of the internet’s music from sites like YouTube, Vimeo, MP3 blogs, and Soundcloud, in one place, solving defragmentation of platforms to better enjoy music. It’s dead simple: add a track to your page from anywhere using the browser plug-in, organize your tracks into playlists, and play them all with no interruption on Whyd. Plus, every track added is a track shared, so music starts to get passed around very quickly for those who use Whyd for discovery. It’s like Pinterest for music, where you can find great tracks anywhere but put them in a convenient place to listen to and keep for later. Goodbye lost tracks and too many open windows, hello music freedom. Fandrop is the best micro content sharing platform. 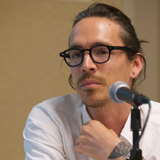 Bands and brands could use Fandrop to curate amazing collections of their content and get the word out through their fans. Fandrop introduces “Drop it” technology, where users can cut out and highlight parts of a web page and collect all kinds of multi-media content, including music, video, and flash games. Using a proprietary algorithm, Fandrop is able to predict the content that is about to go viral. It can also promote the virality of such content to increase the reach to target audience. Marketers can then use these insights to create the marketing campaigns that deliver. At mutu we have reinvented music video browsing. Discover Yourself with features inspired by Pandora and Spotify to create stations based on artist, genre, or friends. We’re building a technology platform that combines both ticketing and a full marketing engine that allows event promoters to broaden the reach of their events and increase their attendance. The ultimate game for music lovers. The Lyricle app probes your musical knowledge by transforming lyrics from popular songs into word clouds. You can play friends or challenge unknown competitors to guess the song and/or artist from the cloud. Be warned: it’s harder than it looks. moosify is all about people and music discovery – music is used as a filter to connect with new people around you and is a fun & easy place to chat, share and meet in real life. moosify is running cross-platform (iOS, Android, Spotify so far) and driving discovery, engagement and revenues for our partners. Just Sing It is a free mobile game that lets users sing their favorite songs, apply voice filters to make them sound like rockstars and guess songs with other game players or share on Facebook and Twitter. Cooperative and social guessing nature of the game is combined with simplicity of singing into a mic – all recorded and listened to on iPhones and iPads. Just Sing It features 2,000+ favorite songs and top genres from music idols of all eras; voice changers with fun effects; “play and share songs” functionality on Facebook/Twitter with avatars dancing to groovy tunes. The game will be initially released in Australia, Canada, New Zealand and US on the iOS platform in February 2013.